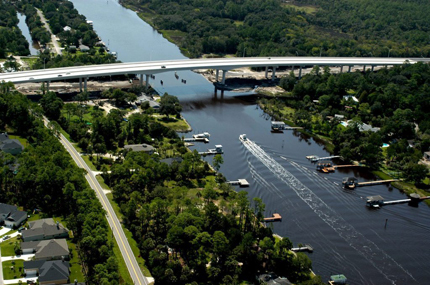 There is some amazing intracoastal property in the Jacksonville area. Real estate along the intracoastal waterway is limited. There is only so much waterfront land right? We define this area described as Intracoastal West as property abutting the Intracoastal from just north of Atlantic Boulevard, down to the Butler bridge. The neighborhoods lining the intracoastal on the west side of the water are Queens Harbor to the north, Atlantic Highlands, Seven Pines Island (Jayne lives here! ), Holiday Harbor, and Isle of Palms. There’s a real variety of price points in this area, and it appeals to your water person. If you want a boat in your backyard, this real estate is definitely something you want to check out!